How to block Sarahah Posts? 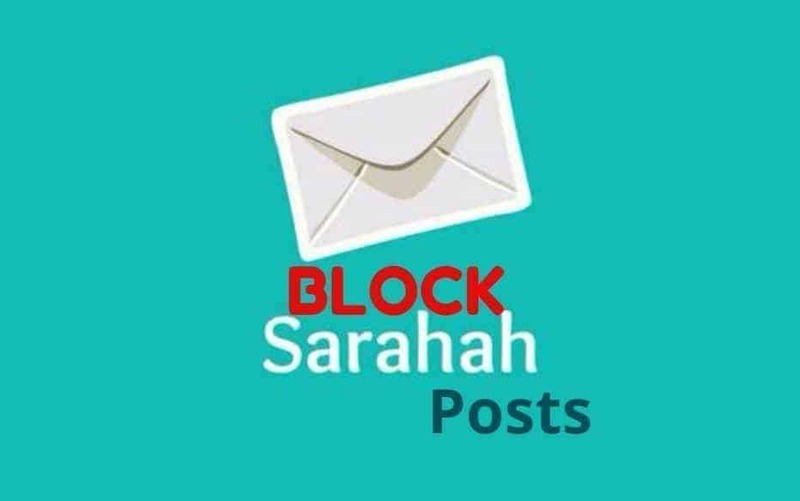 Today we will tell you a way to block Sarahah posts, and here’s the reason behind this short tutorial. I am damn tired of this new trend created by the app or service whatever you call it, Sarahah! My whole Facebook timeline was flooded with it. Some people were enjoying the honest feedbacks for sure, and those guys won’t mostly share the feedbacks they received but there are some who took it to be a tool to measure the amount of popularity they have or how many people give a damn to their life- Yes, I feel that it’s damn irritating for me to look at my Facebook feed, which has nothing by Sarahah feedback posts. Finally, there is a solution so I will be telling you how to block Sarahah posts and enjoy a clean feed. 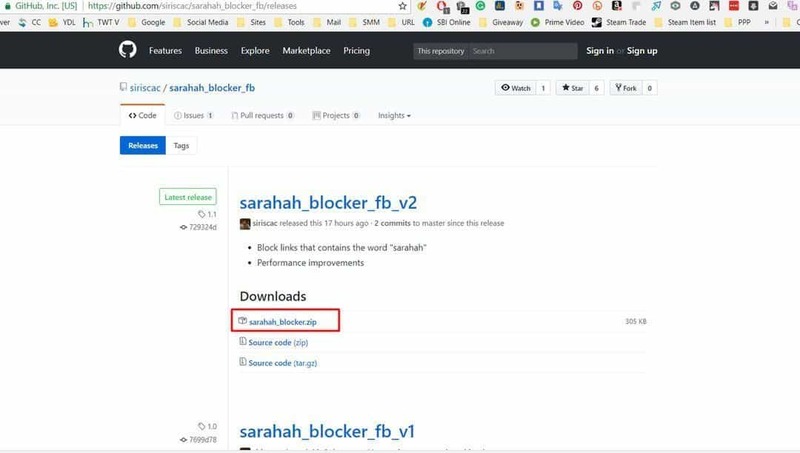 Thanks to a developer who created a Chrome Extension and uploaded it to Github, using which you will be able to block Sarahah posts. So, here’s the procedure. Either click ‘sarahah_blocker.zip’ or just click here to directly download the zip. Unzip the file you downloaded a place the folder somewhere on the desktop. Now open Chrome and enter this in the address bar and hit enter. When you see this page, enable Developer Mode. 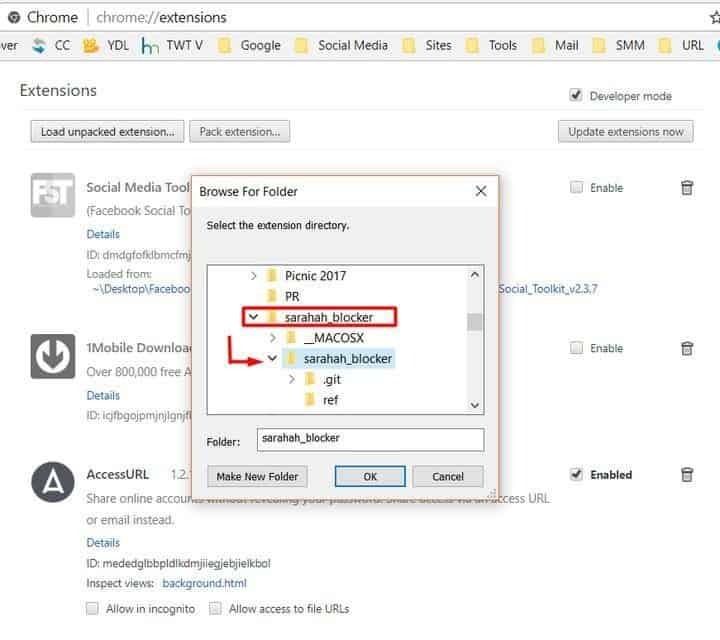 Click ‘Load Unpacked Extension’ and navigate here as shown in the screenshot below. 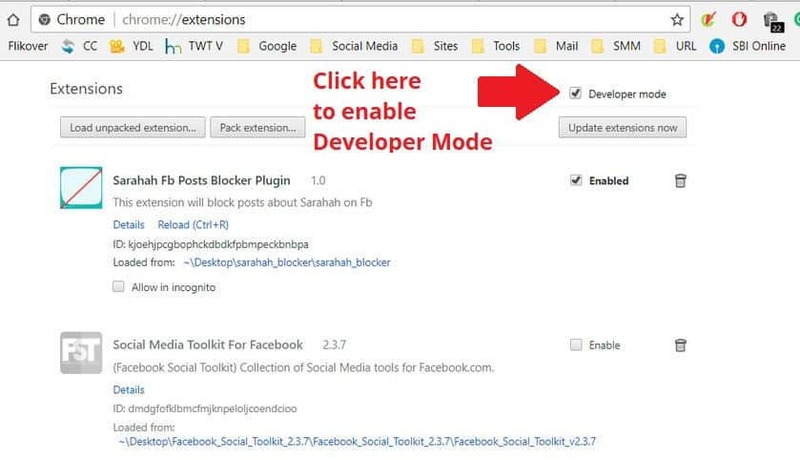 That’s all, now the extension will start block Sarahah posts made by anyone on your Facebook feed. You will see a small icon near the address bar. So, whenever you open Facebook, just click once and then click ‘Block Posts’ and it will do the job for you. No more stupid feedbacks, no more drama, and a clean feed awaits for you. Just follow these steps properly and block Sarahah posts. This is a very easy way to block Sarahah posts, hope you will find it useful. There is also another Chrome Extension known as Enough of Sarahah. However, this extension seems to block only keywords and doesn’t block posts based on patterns, so I’m quite doubtful. Still, I’m testing it out and will let everyone know soon with an update to this article. DISCLAIMER: THE DEVELOPER RESERVES ALL RIGHTS OVER THE EXTENSION UPLOADED TO GITHUB, NEITHER IGADGETSWORLD, NOR ANY OF ITS TEAM MEMBERS ARE RESPONSIBLE IF YOU MAKE SOME MISTAKE AND CRASH YOUR CHROME, LOSE YOUR DATA, GET EXPOSED TO SECURITY THREATS, GET BLOCKED BY EVERYONE FOR NOT POSTING SARAHAH FEEDBACKS THEY SENT TO YOU AND YOU DIDN’T UPLOAD THEM ON SOCIAL MEDIA. THIS TOOL IS MADE FOR THOSE WHO WANT TO STAY AWAY FROM IT BY BLOCKING SARAHAH POSTS, NOT FOR THOSE WHO ARE ENJOYING IT. SO USE WISELY. Next articleLauco – NanoSuction Car Mount Review – Works Like a Charm!